Audi aims to lead the premium electric car market 10 years from now. And to get things started, the German marque will launch its A1 e-tron city car next year. "Audi wants in 2020 to be the leader in premium electric cars," said Martin Freudenhagen, head of project management for Audi's electrification programme. "This was a clear statement by the board this spring." Set for a mid-2011 launch in Munich is a fleet of 20 A1 e-tron cars. e-tron is Audi's brand name for plug-in electric vehicles. 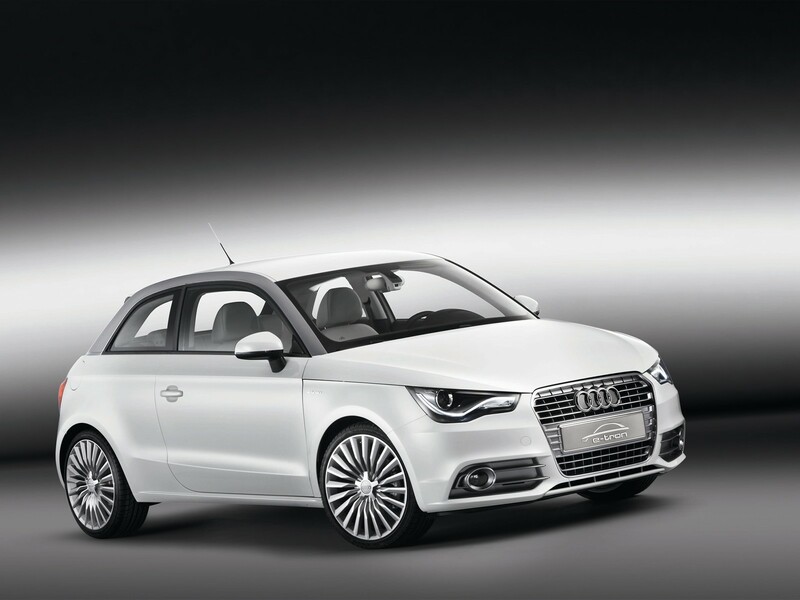 And the A1 e-tron is the electric version of the Audi A1 super-mini. Its powerful 75kW (102 hp) electric motor allows for zero-emission city driving with an onboard generator to extend the range if necessary. The generator is actually a rotary combustion engine, but Audi says it is only for recharging the battery - not for powering the car. The electronics also work with a navigation system to let the A1 e-tron reach its intended destination, although the maximum range will be about 250km. According to Mr Freudenhagen, Audi will tie up with a power supplier for this exercise. The A1 e-trons will be leased out, but the pricing has yet to be determined. What is certain, however, is that Audi intends to use the A1 e-tron to slowly develop the electric vehicle market and roll out up to 1,000 units over two years. "This is a Mega City Vehicle to start the beginning of the electrification era," said Mr Freudenhagen. For him, the A1 e-tron is important because mega cities such as Paris and London are "closing their city centres to combustion engines or levying congestion charges". "A plug-in electric car like the A1 e-tron reduces carbon dioxide emissions by 30 per cent," said Mr Freudenhagen, who was here for last week's Clean Energy Expo Asia. During the event at Suntec City, the Audi e-tron high-performance sports car was displayed. The Audi e-tron has a purely electric drive system with four motors - two each at the front and rear axles - that allow the two-seater to accelerate from zero to 100kmh in 4.8 seconds. But electric vehicles currently face many hurdles. One of them is the public perception of electric mobility. A survey by the German Association of the Automotive Industry revealed that potential buyers expect an electric vehicle to have a long range and short charging time with public charging possibilities. Forty per cent of those surveyed also expect to pay the same or less than a conventional car. As for cost, technological advances should bring prices down significantly in the near future, said Mr Freudenhagen. "By 2014, we will have really good products for the mass market which are affordable." However, one big factor that has yet to be settled is the infrastructure required to support electric vehicles. "It is still not clear if governments will invest in infrastructure. If they do not support electrification, then it will be too costly for customers and the industry to shoulder," he said.